On December 13th at around 1am, a fire that began in a Sunnyside restaurant on Queens Boulevard quickly spread down the street and ended up destroying six neighborhood businesses. 12 people were injured while putting out the five alarm blaze, but luckily no one killed in the process and the FDNY did an amazing job in brining the scene under control. Only days away from Christmas, the community rallied and Chilly Pete welcomed the head of the Sunnnyside Queens Chamber of Commerce and the co-founder of Access Queens, Melissa Orlando, to shed light on the aftermath as a community comes together in a time of crisis. 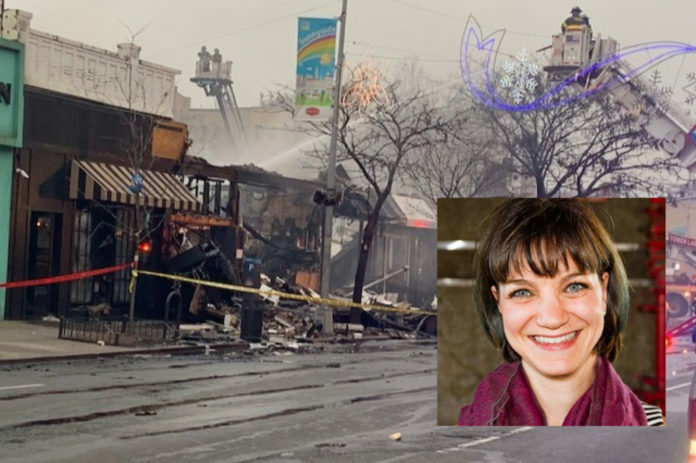 Melissa also outlines ways that you can help Sunnyside’s residents in overcoming this tragic event including donating to the verified GoFund me site that has been set up.